A measure or set of measures designed to permanently eliminate a hazard (e.g., lead-based paint). Abatement strategies include removal of the hazardous materials, replacement of building components containing the hazardous material, enclosure, or encapsulation. All of these strategies require proper preparation, cleanup, waste disposal, post-abatement clearance testing, and if applicable, record keeping and monitoring. Abatement activities are not allowable expenses to be funded by Department of Energy Weatherization Assistance Program dollars. Air moisture content expressed in grains (or pounds) of water vapor per pound of dry air. The ratio of a solar energy absorbed to incident solar. Also called absorbtivity. A solid material’s ability to draw in and hold liquid or gas. Accent lighting illuminates walls, reduces brightness and contrast between walls and ceilings or windows. Adhesion of a thin layer of molecules to a surface they contact. Any part of the building shell that offers resistance to air leakage. The air barrier is effective if it stops most air leakage. The primary air barrier is the most effective of a series of air barriers. The number of times the volume of air in a structure will change in one hour at the induced blower door house pressure of 50 pascals. Air Changes per Hour Natural (ACHnat) – The number of times the indoor air is exchanged with the outdoor air in one hour under natural driving forces. It can be estimated using a blower door. The process whereby indoor air is replaced with the outdoor air through air leakage and ventilation. A measurement of CO in an air sample or flue gas that takes into account the amount of excess air (oxygen, O2) in the sample, incorporating an adjustment to the as-measured CO ppm value, thus simulating air-free (oxygen-free) conditions in the sample. Usually measured in units of parts per million (ppm). A steel cabinet containing a blower with cooling and/or heating coils connected to ducts that transports indoor air to and from the air handler. A spun polymer sheet (for example, house wrap) that stops almost all the air traveling through a building cavity, while allowing moisture to pass through it. Also known as “house doctoring,” air sealing is a systematic approach to “tightening” a dwelling unit’s heated envelope (building shell) to reduce uncontrolled heat loss through air leakage points present in the shell. The prevalent technique is to perform this tightening from the interior of the home. Trained workers seal the air leakage points using a variety of materials, such as insulation, caulk, foam, vapor barriers, and weather-strip. Air leakage identification is usually aided by using diagnostic equipment like blower doors and infrared scanners, since many leakage point are not obvious to the naked eye. Part of the air sealing protocol includes testing to ensure that the building envelope is not sealed too tightly. Over-tightening can result in health and safety problems for the occupants, including back drafting of combustion equipment (furnaces, hot water heaters) and moisture condensation causing mold and mildew on surfaces. The input modification for a gas appliance installed at a high altitude. When a gas appliance is installed more than 2000 feet above sea level, its input rating must be reduced by approximately 4 percent per 1000 feet above sea level. Air in the habitable space. Lighting spread throughout the lighted space for safety, security, and aesthetics. A private non-profit organization that oversees the development of voluntary consensus standards for products, services, processes, systems, and personnel in the United States. A technical society for individuals and organizations interested in heating, ventilation, air-conditioning, and refrigeration. ASHRAE publishes standards and guidelines relating to HVAC systems and issues. A standards organization that develops and publishes voluntary consensus technical standards for a wide range of materials, products, systems, and services. A unit of measurement that tells how much electricity flows through a conductor. It is comparable to a cubic foot per second measurement of water flow. For example, a 1,200-watt, 120-volt hair dryer pulls 10 amperes of electric current (watts divided by volts). A laboratory-derived efficiency for heating appliances that accounts for chimney losses, jacket losses, and cycling losses, but not distribution losses or fan/pump energy. The yearly savings divided by the initial cost needed to achieve the savings, expressed as a percent. A measurement of CO in a sample of air or flue gas that does not take account of the amount of excess air (oxygen, O2) diluting the CO concentration. Usually measured in units of parts per million (ppm). A fibrous mineral with fireproof and insulation characteristics which may be shaped into a variety of building materials. Small, sharp, asbestos fibers may cause damage to lungs if they are inhaled. A combustion appliance that burns at normal atmospheric pressure. Most gas water heater burners and gas range top burners are atmospheric. The weight of air and its contained water vapor on the surface of the earth. At sea level this pressure is 14.7 pounds per square inch. The installation of approved insulation products (rockwool, fiberglass, and cellulose) evenly across the unconditioned attic area to achieve desired levels of thermal resistance. Insulation products have manufacturer rated “R” levels (resistance to heat loss measurements). The more inches of insulation installed the higher the resistance level. The recommended “R” values vary by climatic regions of the country. It is common for weatherization programs to install a minimum of R-19 or as much as R-38 in colder regions. The cost-effective level of insulation to be added, if any, depends on the existing level of insulation in the attic. Auditors determined the amount of insulation to be added through prescriptive lists or energy audit programs that calculate the saving to investment ratio from increasing insulation levels. This refers to the protocol for inspecting and preparing an attic area for the installation of insulation. The preparatory work is directed primarily to air infiltration and safety issues. Some of the protocols include placing barriers around heat-producing sources in the attic (electrical junction boxes, recessed lights, etc. ); placing chutes by the eaves to prevent the insulation from blocking needed air ventilation paths; and sealing bypasses and other penetrations between the heated space and the unconditioned attic area. The process of identifying energy conservation opportunities in buildings. Continuous spillage of combustion gases from a vented combustion appliance into the conditioned space. A damper, installed near a fan, that allows air to flow in only one direction. Polyethylene foam rope used as a backer for caulking. A plate or strip designed to retard or redirect the flow of flue gases. The outdoor temperature at which no heating is needed to maintain inside temperatures. This is the result of balancing the airflow of the central heating distribution system so that intake and output air exists at levels to maximize efficiency. The balancing of the distribution system assures that all areas of the home being served by the same heating or cooling system or any zone within the system receive approximately equal heated or cooled air. A blanket of preformed insulation, generally 14.5 inches or 22.5 inches wide, and varying in thickness from 3.5 inches to 9 inches. A strong horizontal building support used to carry the weight of a floor or roof. A configuration found in some mobile homes that uses the belly cavity as the return side of the heating/cooling distribution system. A metal spring, lever, or disc made of two dissimilar metals that expand and contract at different rates as the temperature around them changes. This movement operates a switch in the control circuit of a heating or cooling device. A construction element or material used to prevent the movement of air or insulation into or through building cavities. A blower door is a diagnostic tool used to locate the points of infiltration in the building envelope and help prioritize the air sealing protocols. This device can be mounted in an exterior door or window opening. The blower door uses a calibrated, powerful, variable speed fan to pressurize or depressurize the dwelling. Its adjustable frame allows the fan assembly to fit snugly in most frames. Air movement and pressure differentials are measured using a set of gauges attached to the frame and fan. These calculations of air movement allow technician to quantify the level of leakage. Such leakage measurements are usually expressed in terms of equivalent leakage area (ELA), air changes per hour (ACH), and cubic feet per minute of airflow (CFM). Any one or more of these measurements can help determine levels of air leakage, indoor air quality, and amount of sealing work to be performed. In addition to measuring air movement, the blower door will exaggerate the leakage points in the building shell for easy identification. This diagnostic tool, when used in conjunction with an infrared scanner, produces even more accurate results. The act of removing water from a boiler to remove sediment and suspended particles. The squirrel-cage fan in a furnace or air handler. A loose-fill insulation that is blown into attics and building cavities using an insulation blowing machine. A fossil fuel appliance used for producing hot water or steam as the medium to distribute heat to the dwelling unit. An electrical circuit used to power outlets and lights within a home. The intensity of the sensation derived from viewing a lit surface. Measured in footlamberts, it is also called luminance or luminous intensity. The quantity of heat required to raise the temperature of one pound of water one degree Fahrenheit. The area of the building that encloses conditioned space. Only the exterior four walls to the ceiling under the attic and the floor above the unheated basement area are considered part of the building envelope. The floor of a unit that is built on stilts or is above an unheated crawl space is considered a part of the building envelope. The roof of a building that has no ceilings (or that is part of the ceiling) is considered part of the building envelope. A complex perspective on buildings, using contemporary technology to analyze and solve problems of design, construction, maintenance, safety, and energy efficiency. Quality. This method was clearly explained in an article in Home Energy magazine, (Tsongas 1993). The method closely follows the parameters set in ASHRAE 62-2001: For acceptable indoor air quality, 15 CFM per person (set minimum of 5 people) or 0.35 air changes per hour (ACH), whichever is greater, must be supplied by natural air leakage and/or continuously operating ventilation. A device that facilitates the burning of a fossil fuel, like gas or oil. An air leakage site that allows air to leak out of a building passing around the air barrier and insulation. A heavy, colorless, nonflammable gas formed by the oxidation of carbon, by combustion, and by the respiration of plants and animals. One of two main products of complete combustion of a hydrocarbon (the other is water vapor). Carbon Monoxide is a tasteless, odorless, colorless and poisonous gas that is a by-product of incomplete combustion of fossil fuels. It is usually caused by a lack of air to support combustion or impingement of the flame. Exposed molding or trim around a window or door. Mastic compound for filling joints and cracks. An appliance that operates with negative static pressure in the vent, a temperature that is high enough to avoid condensation in vent, and an integral fan to draw a controlled amount of combustion supply air through the combustion chamber. An appliance that operates with negative static pressure in the vent and a temperature that is high enough to avoid condensation in vent. An appliance that operates with negative static pressure in the vent and a temperature that is low enough to cause excessive condensation in the vent. An appliance that operates with positive static pressure in the vent and a temperature that is high enough to avoid condensation in vent. This refers to the primary heating system of the dwelling unit including the heat producing appliance, the return and supply system for heat distribution, and ducts or pipes for flue gas ventilation. Central heating systems usually do not include wood stoves, kerosene heaters, space heaters, and electric baseboard heating units. This term means the amount of cubic feet per minute of air moving through a structure and measured at 50-pascal pressure. The cubic feet of air flowing through a house from indoors to outdoors during typical, natural conditions. This figure can be roughly estimated using a blower door. An estimate of the cubic feet per minute of fresh air available or required per occupant or per room. Usually seen as CFM 50, cubic feet per minute of air movement due to 50 pascal house/outdoor pressure differential. A building component designed for the sole purpose of assuring combustion by-products are exhausted to the exterior of the building. A passageway in a chimney for conveying combustion gases to the outdoors. A device found in a Circuit Panel Box that completes an electric circuit. This breaker disconnects the circuit from electricity when it senses an overload of current. A procedure performed on a heating system by a licensed furnace service technician to maximize the appliance efficiency using existing hardware. The C&T is usually preceded by a combustion efficiency test to assess whether other conditions exist requiring extensive furnace work. The C&T can involve a variety of activities to upgrade the efficiency and safe operation of the heating system. These can include pilot and burner adjustment, adjustment of ventilation and combustion, check and reset controls, inspect filters, lubricate motors, flush low water cut-off, check operation of steam and water relief valves, check thermostat, check safety valve, and check thermocouple. An opening in a chimney (usually at its base) to allow inspection and the removal of ash or debris. A device that automatically disconnects an electrical circuit from electricity under a specified or abnormal condition of current flow. A heat pump or air conditioner’s output in watt-hours of heat moved divided by watt-hours of electrical input. A snake-like piece of copper tubing surrounded by rows of aluminum fins that clamp tightly to the tubing and aid in heat transfer. Ductwork through which house air is drawn for reheating during a furnace’s cycle. A measurement of a light source’s ability to render colors the same as sunlight. CRI has a scale of 0 to 100. A measurement of the warmness or coolness of a light source in the Kelvin temperature scale. A vertical building support usually made of wood or steel. Means something will burn, although not necessarily readily. A device for determining the presence and general location of combustible gases in the air. The act or process of burning. Oxygen, fuel, and a spark must be present for combustion to occur. Air that chemically combines with a fuel during the combustion process to produce heat and flue gases, mainly carbon dioxide and water vapor. A device used to measure and analyze combustion gases for efficiency and safety in heating units. Any appliance in which combustion occurs. The closed space or area that holds one or more combustion appliances. This test is performed to determine the efficiency at which a heating appliance is operating at steady state. The actual tests or sequence of tests may vary in conjunction with the type of testing equipment used or the type of heating appliance being tested. Persons performing these tests must be extremely familiar with the testing equipment being used and must be trained in conducting the tests. In some states, a license is required to perform such tests. The portion of the vent or chimney through which passes products of combustion from more than one appliance. A small fluorescent light engineered to fit conventional incandescent fixtures. A direct-vent appliance that has an exhaust-gas vent and a combustion-supply-air vent arranged in a concentric fashion, i.e., one vent is inside the other with a space between the walls of each. When a gas turns into a liquid as it cools, it condenses. Condensation is the opposite of evaporation. When a gas condenses into a liquid it releases heat. The coil in an air conditioning system where the refrigerant condenses and releases heat, which is then carried away by air moving through the coil. Vapor condensed back to a liquid. A tank for catching returning condensate water from a steam heating system. The quantity of heat, in BTUs, that will flow through one square foot of material in one hour, when there is a one degree Fahrenheit temperature difference between both surfaces. Conductance values are given for a specific thickness of material. Conduction is the transfer of heat through a material by molecular movement. Reducing heat loss through conduction can include the installation insulation in wall, ceiling, and floor cavities, insulation of hot water tanks, creating thermal breaks in window and door framing, and sealing of bypasses and other sources of air movement. The quantity of heat that will flow through one square foot of homogeneous material, one inch thick, in one hour, when there is a temperature difference of one degree Fahrenheit between its surfaces. A space with a volume of less than 50 cubic feet per 1,000 BTU per hour of the total input rating of all combustion appliances installed in that space. Difference in brightness measured by the relationship between an object’s brightness and the brightness of its background. A device that opens and closes a power circuit or opens and shuts a valve. The transfer of heat caused by the movement of a fluid like water or air. When a fluid becomes warmer it becomes lighter and rises. Air movement where less dense (warmer) air is displaced by more dense (cooler) air. Often expressed by the phrase “hot air rises.” Convective air flow can be useful if controlled, as in gravity hot air heating systems, but is more often a contributor to heat loss. A structural heat loss resulting from temperature differences between the inside and outside wall surfaces causing an air movement loop within the wall cavity. This condition can be present when a stud cavity has no insulation. Air in the cavity is heated near the interior surface of the wall, rises, circulates back toward the exterior siding, falls, re-circulates back to the warm side, is re-heated, and so on. Combustion appliances that are characterized by atmospheric burners or natural draft. Sealed or direct-vent appliances are not conventionally vented. Having an acceptable payback, return-on-investment, or savings-to-investment ratio. An intersection of framing members and envelope components that require special attention during prep and installation of insulation. A view of a building component drawn or imagined by cutting through the component. The Community Services Block Grant (CSBG) is federal, anti-poverty block grant which funds the operations of a state-administered network of local agencies. This CSBG network consists of more than 1,100 agencies that create, coordinate and deliver programs and services to low-income Americans in 96% of the nation’s counties. Most agencies in the CSBG network are Community Action Agencies (CAAs), created through the Economic Opportunity Act, a predecessor of the CSBG. Community representation and accountability are hallmarks of the CSBG network, where agencies are governed by a tri-partite board. This structure consists of elected public officials, representatives of the low-income community, and appointed leaders from the private sector. Because the CSBG funds the central management and core activities of these agencies, the CSBG network is able to mobilize additional resources to combat the central causes of poverty. The number of cubic feet per minute of air flowing through the fan housing of a blower door when the house pressure is 50 Pacals (0.2 inches of water column). This figure is the most common and accurate way of comparing the tightness of buildings that are tested using a blower door. The number of cubic feet of air flowing through a house from indoors to outdoors during typical, natural conditions. This figure can be roughly estimated using a blower door using the LBL (Lawrence Berkeley Labs) infiltration model. A final determination concerning program eligibility based on income and ownership, resulting in the customer’s receipt or denial of WAP benefits. A rectangular groove cut into wood. The wood material installed under roofing material to support the roofing. A measure of outdoor temperature produced by adding the temperature differences between the inside (65°F) and the daily average outside temperature for a one-year period. The peak need for electrical energy. Some utilities levy a monthly charge for demand. The planning and implementation of those utility sponsored activities designed to influence customer use of electricity or gas in ways that will produce desired changes in the utility’s load shape, such as changes in the pattern and magnitude of the utility’s load. DSM study has resulted in a variety of utility-sponsored programs to redirect their customer’s usage patterns, especially in the peak load periods. While mainly an electric utility applied concept, there is some application to gas utilities as well. The ultimate goal for most utilities is to avoid the need to invest in new power plants or distribution due to excessive demands on current capacity. The weight of a material divided by its volume, usually measured in pounds per cubic foot. Cause to have a lower pressure or vacuum with respect to a reference of a higher pressure. A liquid or solid material used to absorb water or water vapor. A high or low temperature used for designing heating and cooling systems when calculating the building load. A draft diverter, draft hood, or barometric draft control on an atmospheric-draft combustion appliance. A combustion appliance for which all combustion gases are vented to the outdoors through an exhaust vent pipe and all combustion supply air is vented to the combustion chamber from the outdoors through a separate, dedicated supply-air vent. This term refers to that part of a central heating system used to deliver heated transfer media to the living space, and return the cooled transfer media to the appliance for re-heating. In a forced air system this includes the blower, ducts, registers, dampers, and cold air returns. In a hot water system this includes circulators, supply lines, radiators, and return lines. Refers to a separate, closed system to heat potable (drinkable) water and supply it to the dwelling unit for washing, bathing, etc. A framed structure projecting above a sloping roof surface, and normally containing a vertical window. A pressure difference that causes combustion gases or air to move through a vent connector, flue, chimney, or combustion chamber. A mechanical fan used in a venting system to augment the natural draft in gas- and oil-fired appliances. These electrically operated, paddle-fan devices are installed in vent connectors. A nonadjustable device built into an appliance or a part of the vent connector that is intended to 1) provide for escape of flue gases if blockage or backdraft occurs, 2) prevent a downdraft of outdoor air from entering the appliance, 3) neutralize the effect of stack action of the chimney, and 4) lower the dew point temperature of the flue gas by the infusion of ambient room air. A self-regulating damper attached to a chimney or vent connector for the purpose of controlling draft. A draft regulator can reduce draft; it cannot increase draft. Gypsum interior wallboard used to produce a smooth and level interior wall surface and to resist fire. Also called gypsum wall board or sheetrock. Normal ambient air temperature measured by a thermometer. A blower-door-like device used for testing duct leakiness and air flow. A building space or cavity that contains heating or cooling ducts. Any structure which consists of two separate dwelling units in one building. A house, including a stationary mobile home, an apartment, a group of rooms, or a single room occupied as separate living quarters. The number of lumens produced by a watt used for lighting a lamp. Used to describe lighting efficiency. The electric meter and main switch, usually located outside the building. A multifamily building qualifies to be weatherized in its entirety when 66% (50% for 2 and 4 unit buildings) or more of the total dwelling units in the building are determined to be eligible as per DOE rules. A unit occupied by a household that is categorically eligible or income eligible by DOE and/or LIHEAP standards. The rate that a material emits radiant energy from its surface. Also called emissivity. Any covering or coating that acts as a barrier between the hazard (e.g., lead-based paint) and the environment, the durability of which relies on adhesion and the integrity of existing bonds between existing layers (e.g., paint) and the substrate. The building shell. The exterior walls, floor, and roof assembly of a building. Also referred to as building envelope. The conversion or transformation of potential energy into kinetic energy for heat, light, electricity, etc. The process used by WAP staff to inform customers of the ways they can further reduce energy consumption through altering their behavioral patterns. The most effective protocol includes multiple interaction and reinforcement with the household residents and use of a negotiated and written action plan. Term used to describe how efficiently a building component uses energy. The internal heat of a material measured in Btus per pound. Heat unavailable to a closed thermodynamic system during a heat transfer process. The building shell. The exterior walls, floor, and roof assembly of a building. Also referred to as building enclosure. Highly susceptible to adverse effects of pollutants. EPA’s mission is to protect human health and to safeguard the natural environment – air, water, and land – upon which life depends. For 30 years, EPA has been working for a cleaner, healthier environment for the American people. Calculation, in square inches, of the total area of all holes and cracks in a structure. The leakage area is then accumulated to represent one total leakage point. The change that occurs when a liquid becomes a gas. Evaporation is the key process in the operation of air conditioners and evaporative coolers. Evaporation is a cooling process. A device for cooling homes in dry climates by humidifying and cooling incoming air by the evaporation of water. The heat transfer coil of an air conditioner or heat pump that cools the surrounding air as the refrigerant inside the coil evaporates and absorbs heat. This term describes the movement of air out of a building. Often refers to warm air leaving a building due to pressurization, infiltration, wind, stack effect, and/or convective flow. A temperature scale used in the United States and a few other countries. On the Fahrenheit scale, water boils at 212 degrees and freezes at 32 degrees. A combustion appliance with an integral fan to draw combustion supply air through the combustion chamber. A bimetal thermostat that turns the furnace blower on and off as it senses the presence of heat. In a furnace, the supply air temperature at which the fan control shuts down the distribution blower. In a furnace, the supply air temperature at which the fan control activates the distribution blower. A program of DOE that implements energy legislation and presidential directives. FEMP provides project financing, technical guidance and assistance, coordination and reporting, and new initiatives for the federal government. It also helps federal agencies identify the best technologies and technology demonstrations for their use. The wires connecting the electric meter and main switch with the main panel box indoors. Window and door openings in a building’s wall. A fibrous material made by spinning molten glass used as an insulator and heat loss retardant. A plastic or metal tube used for its stiffness to blow insulation inside a building cavity. A comb-like tool used to straighten bent fins in air conditioning coils. Framing member designed to stop the spread of fire within a wall cavity. A control device used to stop the flow of fuel to the burner assembly in the event of no ignition. Combustible; readily set on fire. Waterproof material used to prevent leakage at intersections between the roof surface at walls or penetrations. The framing members that support the floor area. The channel of pipe used to control air flow of combustion gases. Plastic foam insulation manufactured most commonly in 4’x8′ sheets in thickness of 1/4″ to 3″. A measure of light striking a surface. The part of a foundation system that actually transfers the weight of the building to the ground. A vent system for which a fan installed at the combustion appliance moves combustion gases to the outdoors with positive static pressure in the vent pipe. Because of this positive pressure, the vent connector must be air-tight. An appliance for heating a medium to distribute heat throughout the dwelling unit. The triangular section of an end wall formed by the pitch of the roof. A roof shape that has a ridge at the center and slopes in two directions. Oven burner used for baking located just below the oven compartment floor. Oven burner used for broiling located at the top of the oven compartment. Elastic strip that seals a joint between two materials. A number combining glass’s solar heat transmission and its heat conduction. Used for cooling load calculations. A flexible, putty-like material used to seal glass in its sash or frame. A central heating system that uses natural gravity to distribute heat throughout the dwelling unit as opposed to forced circulation, pumps, or circulation blowers. An electrical connection device that breaks a circuit if a short occurs. These are required for all exterior use of electrical equipment, or when an electrical outlet is located near a water source. A metal or wood plate added to the surface of a joint to strengthen the connection. A common interior sheeting material for walls and ceilings made of gypsum rock powder packaged between two sheets of heavy building paper. Also called sheetrock, gyprock, or gypboard. occupiable space and conditioned space. A situation that is causing a danger to the client/crew/contractor that exists before, is created by, or is exacerbated by, weatherization. For example, a dwelling could have a moisture problem that is allowing biological hazards (molds, viruses, bacteria, etc.) to flourish. Another example would be fiberglass entering the conditioned space due to improperly fastened or sealed ductwork. A particular substance that is considered a danger to the sclient or crew. A very small electric heater in a thermostat that causes the thermostat to turn off before room temperature reaches the thermostat setting, so that the house does not overheat from heat remaining in the furnace and ducts after the burner shuts off. The quantity of heat required to raise the temperature of 1 cubic foot of a material 1 degree F.
The device in a heating unit that separates the combustion chamber from the distribution medium and transfers heat from the combustion process to the distribution medium. Term used to mean unwanted heat that accumulates in homes, making mechanical cooling desirable or necessary. A type of heating/cooling unit, usually electric, that uses a refrigerant fluid to heat and cool a space. The number of degrees of temperature increase that air is heated as it is blown over the heat exchanger. Heat Rise equals supply temperature minus return temperature. Heat flow through the walls, floor, and ceiling of a building, not including air leakage. Each degree that the average daily temperature is below the base temperature (usually 65 degrees F) constitutes one heating degree day. The maximum rate of heat conversion needed by a building during the very coldest weather. Rating for heat pumps describing how many Btus they transfer per kilowatt-hour of electricity consumed. A bimetal thermostat that turns the heating element of a furnace off if it senses a dangerously high temperature. The number of BTUs of energy used by a home, divided by its area of conditioned square feet and by the number of heating degree days during one year. A nationally recognized energy rating program that give builders, mortgage lenders, secondary lending markets, homeowners, sellers, and buyers a precise evaluation of energy losing deficiencies in homes. Builders can use this system to gauge the energy quality in their home and also to have a star rating on their home to compare to other similarly built homes. The number of Btus of energy used by a home divided by its area in square feet, then divided by the number of heating degree days during the time period. A program created under Title II (the Home Investment Partnership Act) of the National Affordable Housing Act of 1990. Provides funds for states to expand the supply of decent and affordable housing for low-income people. This program can be easily coordinated with a state’s WAP efforts. Any individual or group of individuals who are living together as one economic unit for whom residential energy is customarily purchased in common or who make undesignated payments for energy in the form of rent. The difference in pressure between the indoors and outdoors measured by a manometer. An automatic control that switches a fan, humidifier, or dehumidifier on and off to control relative humidity. Same as “absolute humidity.” The absolute amount of air’s humidity measured in pounds of water vapor per pound of dry air. Heating, Ventilation, and Air-Conditioning System. All components of the appliances used to condition interior air of a building. A heating system that uses hot water or steam as the heat-transfer fluid. Commonly called a hot-water heating system. Indoor Air Quality. The quality of indoor air relative to its acceptability for healthful human habitation. Assessing and ameliorating, when necessary, the quality of indoor air is a major concern of the weatherization process. In particular, all by-products of major combustion appliances must be directly evacuated to the outdoors under all operating conditions. In-kind contributions represent the value of non-cash contributions provided by the grantee, and non-Federal parties. In-kind contributions may be in the form of charges for real property and non-expendable personal property and the value of goods and services directly benefiting and specifically identifiable to the project or program. An area that is too confined to enter and/or maneuver in by an average installer/technician. The common light bulb found in residential lamps and light fixtures and known for its inefficiency. A non-metric unit of pressure difference. One IWC is equal to about 0.004 Pascals. Small air pressure differences caused by wind, blower doors, furnace fans, and chimneys are measured in inches of water (in.-H2O) in the American measurement system. Under DOE rules, this term refers to the repairs on a dwelling unit necessary for the effective performance or preservation of the allowable energy conservation measures to be installed. Usually, a specific dollar amount is set by a state to limit such incidental repairs. A vent system for which a fan – installed at or very near the termination point of the vent pipe – moves the combustion gases to the outdoors with negative static pressure in the vent pipe. Infiltration refers to the movement of air into a building through cracks and penetrations in the building envelope. Cold air often enters the structure due to depressurization, exfiltration, wind, stack effect, and/or convective airflow. Pertaining to heat rays emitted by the sun or warm objects on earth. The science of using infrared imaging to detect radiant energy or heat loss characteristics of a building. The infrared camera or scanner electronically senses heat radiated by objects and converts that thermal energy into images visible to the human eye. The camera or scanner, similar to a camcorder in appearance, produces varying shades of black and white images of the building structure. The darker the image, the colder the corresponding surface; the lighter areas are the hotter surfaces. Some scanners can automatically record these images on video, as well as allow the operator to record audio commentary as he/she scans the building. A certain degree of interpretation skill is required to properly assess the images being recorded. Used in conjunction with a blower door, the scanner can provide valuable data, since the pressurization or depressurization can magnify air leakage sites and thermal bypasses. The measured and assigned rating indicating the level at which an energy-using device consumes electricity or fossil fuel. A material used to retard heat transfer. Two or more glass panes spaced apart and sealed in a factory, and having a higher R-value than a single pane of glass. A device that lights the pilot light on a gas appliance when the control system calls for heat, thus saving the energy wasted by a standing pilot. The heat generated by bathing, cooking, and operating appliances, that must be removed during the summer to promote comfort. A zone located between the building’s conditioned space and the outdoors, like a crawl space or attic. Space between framing and other building components. The side or top piece of a window or door frame. A horizontal wood framing member that supports a floor or ceiling. A unit of energy. One thousand joules equals 1 BTU. A unit of electric power equal to 1000 joules per second or 3412 Btus per hour. The most commonly used unit for measuring the amount of electricity consumed over time; one kilowatt of electricity supplied for one hour. A unit of electric energy equal to 3600 kilojoules. Consisting of, or depending on, motion; distinguished from potential energy. Document required for completed application when applicant is a renter. The Agreement is legally binding contract, signed by the tenant, the landlord (or property owner), and the local agency specifying the role and responsibilities of each party. The basic goal of the WAP is to ensure that the benefits of the program accrue to the low-income family. A variety of standard clauses can be incorporated into the Agreement, including clauses on landlord’s inability to raise rents for specified period of time, eviction prohibition, and landlord required “participation.” Participation can take the form of actual cash, provided labor, and/or in-kind contributions. The amount of heat energy required to change the state of a substance from a solid to a liquid, or from a liquid to a gas, without changing the temperature of the substance. A support for plaster, consisting of thin strips of wood, metal mesh, or gypsum board. baseboard or door casing, and/or when the work will disturb more than twenty square feet of painted exterior surface. Measurement of total square inches of infiltration area per 100 feet of building envelope surface area. The actions of the state and local agencies to obtain and account for resources provided to supplement or supplant federal funding being used to weatherize dwelling units. The relative presence or absence of glare and brightness contrast. Good light quality has no glare and low brightness contrast. In a mobile home, a forced warm air circulation system where air returns to the air handler through the living space, rather than through ductwork or through the mobile home belly. Also referred to as the subgrantee, contractor, service delivery network member, or local service provider, a local agency is a nonprofit organization or unit of local government responsible for providing WAP services in a specified political subdivision. Short for “low emissivity”, which means the characteristic of a metallic glass coating to resist the flow of radiant heat. A float-operated control for turning the burner off if a steam boiler is low on water. A unit of light output from a lamp. The electric service box containing a main switch, and the fuses or circuit breakers located inside the home. A tube with one inlet and multiple outlets, or multiple inlets and one soutlet. A differential gauge used for measuring pressure. A mobile home or a “double-wide” structure. A thick creamy substance used to seal seams and cracks in building materials. Stone, brick, or concrete block construction. A sheet containing data regarding the properties of a particular substance, intended to provide workers with procedures for handling or working with that substance in a safe manner, including information such as physical data, toxicity, health effects, first aid, storage, disposal, and protective equipment. A combustion appliance with induced draft of forced draft. To make less severe or to mollify. A software tool that predicts manufactured home energy consumption and recommends weatherization retrofit measures. A mixture of sand, water, and cement used to bond bricks, stones, or blocks together. A recessed area cut into the wood framing member where a hinge or wood tongue fits. NASCSP’s mission is to assist state in responding to poverty issues. NASCSP members are state administrators of the Community Services Block Grant (CSBG) and U.S. Department of Energy’s Weatherization Assistance Program (DOE/WAP). 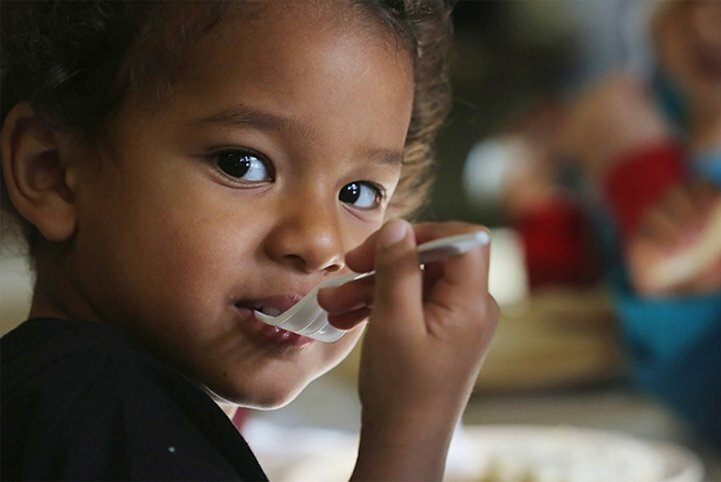 The CSBG, administered by the states, provides core funding to local agencies to reduce poverty, revitalize low-income communities and to empower low-income families to become self-sufficient. The DOE/WAP helps low-income families reduce their energy costs by making homes more energy efficient. The local agencies funded by these programs provide a wide range of services such as weatherization, energy assistance, child care, job training, and housing. NASCSP keeps its members, the federal government, and other interested parties informed about issues related to CSBG and DOE/WAP through its publications. Renamed by the Department of Commerce as the National Institute of Standards and Technology (NIST). Created by Oak Ridge National Laboratories as a DOE approved audit qualifying for the 40% materials waiver. It is a computerized auditing tool for prioritizing energy conservation measures for houses. Creates and maintains minimum standards and requirements for fire prevention, training, and equipment, developing and publishing codes and standards such as the NFPA 70, the National Electric Code, and NFPA 54, the National Fuel Gas Code. A federal agency responsible for conducting research and making recommendations for the prevention of work-related injury and illness to help ensure safe and healthful working conditions. A vent system that relies on natural draft (buoyant air) to move combustion gases to the outdoors. Ventilation using only natural air movement without fans or other mechanical devices. The area of a vent after that area has been adjusted for insect screen, louvers, and weather covering. The free area is always less than the actual area. An orifice for spraying a liquid like fuel oil. People of any age living in a dwelling. Animals are not defined as occupants. An agency of the United States Department of Labor, with a mission to prevent work-related injuries, illnesses, and occupational fatality by issuing and enforcing standards for workplace safety and health. An enclosed space inside the pressure boundary of a room or house, and intended for human activities including, but not limited to, all habitable spaces, bathrooms, toilet rooms, closets, halls, storage and utility areas, and laundry areas. See habitable space and conditioned space. Refers to a central heating system that uses #2 fuel oil, kerosene, or residual oil as the primary fuel for heat generation. A heating device that takes its combustion air from the surrounding room air. A hole in a gas pipe or nozzle fitting where gas or fuel oil exits to be mixed with air before combustion occurs in the heating chamber. The size of the orifice will help determine the flow rate. A fan, usually portable, that moves back and forth as it operates, changing the direction of the air movement. The conversion rate of useful heat that a heating unit produces after accounting for any waste caused by the conversion of energy into heat. A safety device on a heating unit that shuts off the fuel supply to the combustion chamber when oxygen is depleted. An air conditioner that contains the compressor, evaporator, and condenser in a single cabinet. The unit commonly used to represent the degree of pollutant concentration, where the concentrations are small. A unit of measurement of air pressure. One column inch of water equals 247 pascals. Atmospheric pressure (29.92 inches of mercury) is equivalent to 102,000 PA. 2.5Pa = 0.01 inches of water column. The number of years that an investment in energy conservation will take to repay its cost through energy savings. A technique used in attics previously insulated with batt insulation. The batts are cut back two feet from the eaves and the area is insulated with blown insulation to ensure coverage over the outer wall top plate, and to prevent wind washing of the insulation under the existing batts. A heat-expanded mineral used for insulation. A measurement of how much water vapor a material will let pass through it per unit of time. A solid-state electrical device that converts light directly into direct current electricity of voltage-current characteristics that are a function of the characteristics of the light source and the materials in and design of the device. Solar photovoltaic devices are made of various semi-conductor materials including silicon, cadmium sulfide, cadmium telluride, and gallium arsenide, and in single crystalline, multi-crystalline, or amorphous forms. A plastic mixture of sand, lime, and Portland cement spread over wood or metal lath to form the interior surfaces of walls and ceilings. A framing member installed horizontally to which the vertical studs in a wall frame are attached. The piece of ductwork, usually found above the heat exchanger of a hot air furnace, that connects the air handler to the main supply duct. Absolutely vertical at a right angle to the earth’s surface. Laminated wood sheeting with layers cross-grained to each other. A plastic made by the polymerization of ethylene, used in making translucent, lightweight, and tough plastics, films, insulations, vapor retarders, air barriers, etc. A plastic foam insulation sold in sheets, similar in composition to polyurethane. A rigid plastic foam insulation, usually white, pink, green, or blue in color. A versatile plastic foam insulation, usually yellow in color. Energy in a stored or packaged form, like fuel oil, coal, wood, etc. A burner for which air is supplied at a pressure greater than atmospheric pressure. Most oil-fired burners are power burners. Gas burners used to replace oil burners are usually power burners. A force encouraging movement by virtue of a difference in some condition between two areas. The practice of measuring pressures and flows in buildings to control air leakage, and also to ensure adequate heating and cooling air flows and ventilation. A device used to block a duct register while measuring the static pressure behind it. A control that turns a steam boiler’s burner on and off as steam pressure changes. A safety component required on a boiler and water heater, designed to relieve excess pressure buildup in the tank. The main window installed on the outside wall consisting of fixed or moveable lights that slide on permanently fixed tracks (not to be confused with a storm window). The list or ranking of installation measures developed by a program to produce the most cost effective energy savings results based on a savings to investment ratio calculation. Income earned by the grantee from grant-supported activities, including but not limited to, income from service fees, sale of commodities, usage or rental fees, and royalties on patents and copyrights. The study of the relationship between air, water vapor, and heat. Framing members that sit on top of rafters, perpendicular to them, designed to spread support to roofing materials. A measurement of thermal resistance for materials and related surfaces. A foil sheet or coating designed to reflect heat flows. Radiant barriers are not mass insulating materials. The average reflective temperature of objects in a home, like walls, ceiling, floor, and furniture. Heat energy that is transferred by electromagnetic energy or infrared light, from one object to another. Radiant heat can travel through a vacuum and other transparent materials. A radioactive gas that decomposes into radioactive particles. A roof beam that follows the roof’s slope. Acceptable Indoor Air Quality (Standard 62). A water heater’s efficiency at actually heating water to capacity level without regard to standby or distribution losses. The ratio of lamination or radiant heat reflected from a given surface to the total light falling on it. Also called reflectivity. Glass that has a mirror-like coating on its exterior surface to reflect solar heat. The solar heat gain coefficient of reflective glass ranges from 0.10 to 0.40. Any of various liquids that vaporize at a low temperature, used in mechanical refrigeration. The grille cover over a duct outlet for warm air distribution or cold air return and sometimes control the flow. The replacement of an existing, standard light bulbs with lower wattage energy efficient bulbs like compact fluorescent lamps. The percent of moisture absorbed in the air compared to the maximum amount possible. For instance, air that is completely saturated has 100% relative humidity. Adjusts fluid temperature or pressure in a central heating system according to outdoor air temperature. The property of a material resisting the flow of electrical energy or heat energy. An energy conservation measure applied to an existing building or the action of improving the thermal performance or maintenance of a building. Air circulating back to the furnace or central air conditioning unit from the house, to be heated or cooled and supplied back to the living area. Any unit that received weatherization services prior to September 30, 1994 and has received additional services under subsequent grants or allowed by current DOE regulations. The outermost joist around the perimeter of the floor framing. Also known as “band joist” or “band board”. Refers to the gas burner being shut down by the high limit switch on a furnace, instead of being properly activated by the fan-on/fan-off control. An air conditioning unit installed through a wall or window, which cools the room by removing heat and releasing it outdoors. A movable or stationary part of a window that frames a piece of glass. SIR is computed over the lifetimes of the retrofit measures installed and expressed in terms of the net present value of the retail cost of the dwelling’s fuel. Under some methodologies, other benefits, etc. Investment usually takes into account materials, labor, and support costs. SIRs of greater than one are counted as cost effective under this DOE WAP method of determining cost-effectiveness. A heater that draws air for combustion from outdoors and has a sealed exhaust system. Also called a direct-vent appliance. Refers to the overall efficiency of the central heating system including on and off cycle fuel utilization and heat loss. The calculation of these factors is represented in the Annual Fuel Utilization Efficiency (AFUE) rating for the appliance. Distribution system loss is not factored into the AFUE. A measurement of energy efficiency for central air conditioners. The SEER is computed by dividing cooling capacity, measured in BTUh, by the Watts (see also Energy Efficiency Rating). The heat required to change the temperature of a material without changing its form. Living quarters in which the occupants do not live and eat with any other persons in the structure and that have either a direct access from the outside of the building or through a common hall or complete kitchen facilities for the exclusive use of the occupants. The occupants maybe a single family, one person living alone, two or more families living together, or any other group of related or unrelated persons who share living arrangements. A bimetal switch that turns on the elements of an electric furnace in sequence. The wires coming from the utility transformer to the service equipment of the building. This term refers to the effect of insulation depressing over time and, thereby, reducing the overall energy efficiency of the materials. This process is primarily the result of using too much air when installing the blown-in insulation – commonly called “fluffing,” or the effect of long periods of time on the materials. One reason to re-inspect some work several months after installation to assess the settling factor. Settling can also occur during the installation of sidewall insulation when the cavity is not completely filled. This is usually avoided if “dense pack” protocols are followed during the installation. A decimal describing how much solar energy is transmitted through a window opening compared to clear single glass having an SC of 1.0. For example, reflective glass has an SC of .20 to .45. Structural sheeting, attached on top of the framing, underneath the siding and roofing of a building. Any building material used for covering a building surface. Common term for any building material used for covering a building surface. The building’s exterior envelope including walls, floor, and roof. A modular roofing material, usually asphalt, that is installed in overlapping rows to cover the entire roof. A dangerous malfunction in an electrical circuit where electricity is flowing through conductors and into the ground without going through an electric load, like a light or motor. The process of installing insulation material, usually blown cellulose, into the non-insulated wall stud cavities of a structure to reduce heat loss. Installation is achieved by drilling one or more rows of holes into the wall, one in each stud cavity. To achieve the most effective results, a dense pack protocol is used to install “high density” insulation materials. The “packing” of the materials should be tight enough that the installer cannot move the insulation when complete. It is common to install materials at 3.5 pounds per square foot. The bottom of a window or door frame. The outer area of the floor bound by the rim joist, floor joist, sill plate, and floor. Includes a house built on the site from building supplies, or manufactured homes assembled on the site from pieces shipped to the site on flatbed trucks. Does not include mobile homes and double-wides. A device holding two thermometers that is slung through the air to measure relative humidity. The roof section of an attic with the roof and ceiling surfaces attached to the rafters. The underside of a roof overhang or a small lowered ceiling, as above cabinets or a bathtub. Heat from the sun that is absorbed by a building’s materials and contributes to the heating and cooling requirements of the dwelling. Radiant energy from the sun with wavelengths between 0.7 and 1 micrometers. The ratio of solar heat gain through a window to incident solar heat, including both transmitted heat and absorbed/radiated heat. Solar heat gain amount on a surface with a particular angle and orientation expressed in Btus per square foot per hour. The percent of total solar energy transmitted by a material. A magnetic device that moves a switch or valve stem. An international unit used to measure sound levels. One Sone is equivalent to the sound of a quiet refrigerator in a quiet kitchen. Heating the living spaces of the home with a room heater or central heating system. The ratio of the heat storage capacity of a particular material to the heat storage capacity of water. Temporary flow of combustion gases from a dilution device. A strip of vinyl, rubber, or plastic that, when inserted into a groove, holds a screen or plastic film in place on a frame. An air conditioner having the condenser and compressor outdoors and the evaporator indoors. The term describes the effect of higher pressure at the top of a structure, lower pressure at the bottom of a structure, and neutral pressure somewhere in between, relative to the ambient (surrounding) air pressure. It is usually the result of different densities of warmer and cooler air (convective airflow). Heat loss from a hot water storage tank through its shell. The measurement of heat system balance in the on-cycle when heat into system equals heat out. Generally provided as a percentage of the maximum available heat generation capacity (100%) against the amount of usable heat being sent to the distribution system. This figure can also represent the percentage of heat being used within the system as compared to the heat lost through the flue. The reading is most valid when the stack temperature becomes constant and the distribution pumps or blowers are operating. An automatic valve that closes to trap steam in a radiator until it condenses. A bimetal-operated air vent that allows air to leave steam piping and radiators, but closes when steam strikes the surface. A thin, trim board for windows and doors to close against or slide against. The metal plate attached to the door jamb that the latch inserts into upon closing. A vertical wood or metal framing member used to build a wall. The sheathing over the floor joists and under the floor covering. Air that has been heated or cooled and is moved through the ducts and to the supply registers of a home. Modular ceiling panels supported by a hanging frame. A procedure using the blower door to measure the “potential” for leakage reduction of the duct system. All supply registers and return grills are taped shut following the initial blower door reading and a subsequent air leakage test taken. if closing off the duct system in this manner causes an appreciable reduction in the air leakage rate, this is an indication that there are significant duct leaks. A unit of energy equal to 100,000 Btus or 29.3 kilowatt-hours. A relatively low heat/cold conductive material separating two highly conductive materials, installed to reduce heat flow through the assembly. Rapid heat conduction resulting from direct contact between very thermally conductive materials like metal and glass. A ceiling/roof, wall, floor, window, or door that separates the habitable, occupiable, and conditioned spaces from the outdoor weather. The thermal boundary should be air sealed and/or insulated if it is cost-effective to do so. Exterior doors are always examples of thermal boundaries. An attic floor is most often an example of a thermal boundary. Similar to a convection loop, this structural heat loss is characterized by heated air traveling up exterior or interior stud cavities and leaking out the top of that cavity to the attic through joints and cracks in the framing, wiring and plumbing holes, etc. These types of heat loss sources are sometimes the most difficult to locate. An indirect penetration that tends to reduce the effectiveness of insulation by allowing conditioned air to move out of a structure, or allowing unconditioned air to move in. A material’s ability to transmit heat; the inverse of the R-Value (see U-factor). The boundaries of a dwelling that serve to envelop the space to be kept warm during cold weather and cool during warm weather. The surfaces of the thermal enclosure usually serve as a thermal and pressure barrier. R-value; a measurement expressing the ability to retard heat flow. A bimetal-junction electric generator used to keep the safety valve of an automatic gas valve open. A device used to control a heating or cooling system to maintain a set temperature. Combustion appliances that are vented through a wall rather than into a vertical-rise chimney or vent. Such appliances are usually Category III or IV, but might also be Category I (e.g., direct-vent Category I water heater). Term to be used interchangeably with those income groups known as SSI (Supplemental Security Income) recipients. A harmless gas used to measure air leakage in a building. A double coil of wire that increases or decreases voltage from a primary circuit to a secondary circuit. Decorative wood that covers cracks around window and door openings and at the corners where walls meet floors and ceilings. Sometimes called molding. A braced framework usually in the shape of a triangle to form and support a roof. An electrical fixture that is rated to be in direct contact with thermal insulation. The total heat transmission in BTUs per square feet per hour with a 1°F temperature difference between the inside and the outside; the thermal conductance of a material. Light radiation having wavelengths beyond the violet end of the visible spectrum; high frequency light waves. An area within the building envelope not intentionally or unintentionally heated. Sheeting installed to provide a smooth, sound base for a finish material. A material that retards the passage of water vapor. The flow of water vapor through a solid material. To change from a liquid to a gas. Light reflection from an object or task that obscures details. The outer layer of a building component (e.g., interior doors often have a wood veneer; some wood-frame houses have brick veneer walls, etc.). The vent pipe carrying combustion gases from the appliance to a vent or chimney. An automatic damper powered by heat or electricity that closes the chimney while a heating device is off. The removal of combustion gases by a chimney. A continuous passageway from a combustion appliance to the outdoors through which combustion gases can safety pass. Refers to the controlled air exchange within a structure. All dwellings must “breathe” and proper ventilation rates must be determined. If the structure requires more interior/exterior air exchanges, there are mechanical and non-mechanical options for increasing those rates. The most common option is passive ventilation through the installation of roof, soffit, or gable vents. The percent of visible light transmitted by a glass assembly. A unit of electromotive force. It is the amount of force required to steady current of one ampere through a resistance of one ohm. Electrical systems of most homes in the United States have 120-volt systems. A unit of measure of electric power at a point in time, as capacity or demand. One Watt of power maintained over time is equal to one joule per second. One Watt of power extended for one hour. One thousandth of a kilowatt-hour. Weatherization – The process of reducing energy consumption and increasing comfort in buildings by improving the energy efficiency of the building and maintaining health and safety. DOE’s Weatherization Assistance Program is the nation’s largest residential energy efficiency program. Its mission is to increase the energy efficiency of dwellings occupied by low-income Americans, thereby reducing their energy costs, while safeguarding their health and safety. DOE works directly with the states, U.S. Territories, the District of Columbia, and Native American Tribal Governments to carry out these goals. These Grantees, in turn, contract with approximately 1,000 local governmental or non-profit agencies to deliver weatherization services to our low-income clients. Flexible gaskets, often mounted in rigid metal strips, for limiting air leakage at openings in the shell like doors and windows. A reinforcing fabric used with mastics and coatings to prevent patches from cracking. Holes drilled for the purpose of allowing water to drain out of an area in a building where it has accumulated. The temperature of a dampened thermometer of a Sling Psychrometer used to determine relative humidity, dew point, and enthalpy. A concept that addresses the house as a single energy consuming system, rather than a loose collection of unrelated systems. The whole house approach is based on a sophisticated analyses of individual homes, to maximize energy and dollar savings. Plastic films coated with a metallic reflective surface that are adhered to window glass to reflect infrared rays from the sun. The sides, top, and sill of the window forming a box around window sashes and other components. greatest negative pressure in the Combustion Appliance Zone, and 3) the furnace air handler is operating (if such operation causes increased negative pressure in the Combustion Appliance Zone). A room or portion of a building separated from other rooms by an air barrier.